What is digital marketing? The life in today’s reality is so dynamic and changing. New technologies appear every day, replacing the old ones, new goals are set every minute, new strategies are followed for achieving better results, new people are involved in the process of creating, promoting, upgrading. Today every company needs to have an internet marketer as a part of the team, wherever an in-house employee or who must know how to organize promotions effectively, analyze the activities of competitors and help to improve the company’s image in the network. Digital marketing is a form of direct marketing which links consumers with sellers electronically using interactive technologies like emails, websites, online forums and newsgroups, interactive television, mobile communications. In fact, this is a complex discipline (based on digital technologies), using different types of marketing techniques to promote the product. Today, digital marketing begins to use widely traditional types of advertising, the main task of which is to “grab” the attention of the audience and drag it into the virtual world. The main objectives of digital marketing are to promote the brand and increase sales through various methods. Digital marketing includes a large selection of marketing tactics to promote products, services, and brands. Digital marketing techniques such as search engine optimization (SEO), search engine marketing (SEM), content marketing, influencer marketing, content automation, campaign marketing, data-driven marketing and e-commerce marketing, social media marketing, social media optimization, e-mail direct marketing, display advertising, e-books, optical disks and games, are becoming more and more common in our advancing technology. In fact, this extends to non-Internet channels that provide digital media, such as mobile phones (SMS and MMS), callback and on-hold mobile ring tones. What are the main digital marketing services? Experimental marketing QR codes, geolocation services, RFD, Wow calls, augmented reality, etc. Trends in the development of the digital sphere will be aimed at creating new types of interaction with the audience. Interaction with the audience is a key point in understanding the essence of this direction. For the first time, in the history of marketing, there is such an opportunity for interaction when consumers themselves can create a product, just the way they want it. Say aloud what they think – and be sure that they will be heard. Now even a small company with a unique and interesting product, without special advertising budgets, can deliver its message to millions of potential consumers within minutes, and become a large corporation. The ability to react quickly to changes has become a critical factor in survival. We consume a bigger amount of information in comparison with our ancestors. The world has become faster, the world has become more transparent, the world has become more interesting. And only in such a world digital-marketing could appear in all its manifestations. Interactive tools, like scripts, Softwares. Good outsourcing digital marketing services will tell what digital marketing assets your business need and must be able to develop them. Please read more about our content creation services. Please read more about our social media marketing services. Digital marketing plays a valuable role in shaping consumer behavior in today’s world. Outsourcing digital marketing services is what most successful companies do nowadays. 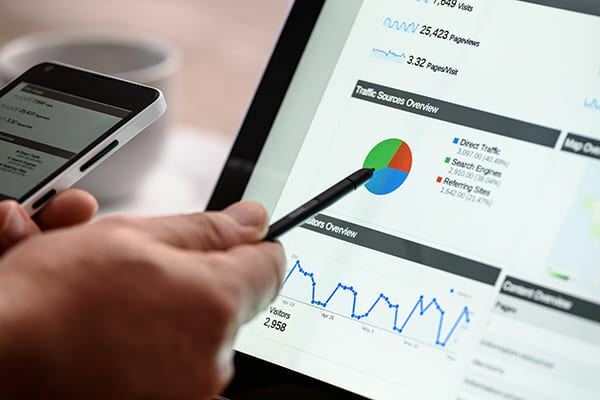 The following 14 reasons will show you why the use of digital marketing is not the only investment-wise decision but also an effective marketing channel that can help you grow your business. Digital marketing aligns the online playing field. Digital marketing builds brand recognition and reputation. Digital marketing helps to stay a step ahead of their competitors. Digital marketing is more cost-effective than traditional marketing. Digital marketing provides better ROI for your marketing investments. Digital marketing caters to the mobile consumers. Digital marketing allows businesses to monitor their brand. Digital marketing can help brands develop trust with their audience. Digital marketing brings a brand’s story to more people. Digital marketing provides businesses with additional sales channels. Digital marketing can educate customers. Digital marketing entices people to take favorable action. Digital Marketing helps you to target the right customers.